Pocket Rumble has been in the works for longer than some of our readers have been alive. Development on the game was just heating up when its team was on Sup Holmes back in 2014, a couple of years ahead of its Early Access release on Steam. Then last year, it was announced for Switch with a tentative March 2017 release date. Of course, March came and went and the game was nowhere to be seen. The radio silence that followed led some to assume that the game had tripped over its own feet and died just as it was about to step out the door. Well the game may have stumbled, but the good news is, the fall wasn't fatal. Reports state the game is coming soon to the Switch on a global scale, with an official release date to be announced any day now. There was a time when Ultra Street Fighter II would have been the game's main competition on Switch. Now it's looking like it will be going against BlazBlue: Cross Tag Battle, SNK Heroines: Tag Team Frenzy, and Blade Strangers instead. Strangely enough, all four games also happen to be crossover fighters. 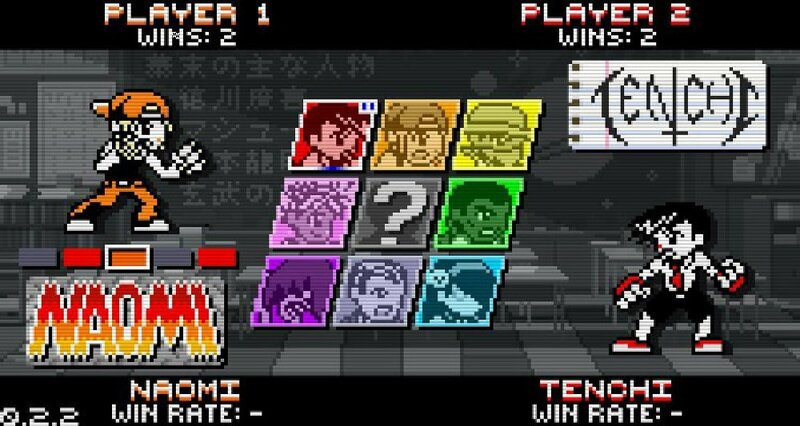 Pocket Rumble's guest characters include The Kid from I Wanna Be The Guy, The Bazz from Two Best Friends Play, Fencer from Nidhogg, and Kick from Divekick to name a few. While that doesn't quite put the game in the same league as the next Smash Bros., I'm sure it still has a good chance of making a name for itself in the time before Nintendo's next fighter comes in and dominates the market.